Although asthma can be dangerous, it is entirely possible to have a normal life with it. Having asthma isn't as restrictive as it was even 30 years ago; advances in medicines and inhalers in particular have changed the lives of people with asthma around the world. The key to happy lungs is to have a proper asthma care plan created by you and your doctor for both long-term and short-term asthma management. There are two main types of inhalers for asthma: long-term and short-term. Long-term inhalers are for preventative long-term treatment of asthma. This would be a daily-use inhaler that prevents asthma from worsening and even makes it better steadily. However, even with this prevention method, you may incur an asthma attack. For this reason, there are also short-term inhalers, or "rescue" inhalers, for sudden attacks or symptoms of asthma. 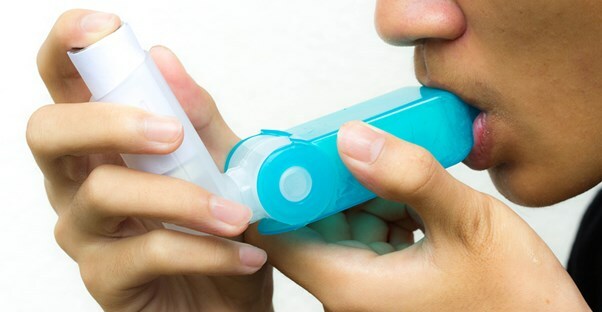 Modern inhalers are highly effective at treating sudden asthma attacks. To use a long-term or quick-relief inhaler, you first must keep it in an accessible place, such as a purse or a backpack. It is necessary to have an inhaler on you at all times, especially while at school or traveling. To use, you will remove the cap at the mouth of the inhaler. Shake the inhaler for the prescribed amount of time, which is usually five seconds. Lastly, put your mouth completely around the inhaler's mouthpiece and breath deeply as you press the medication canister down. Hold your breath for approximately 10 seconds if possible. Which Respiratory Conditions Require Inhalers? Expired Inhalers: Are They Safe?